Sell by auction covers Wales with twelve sales per year. We hold our auction sales in North Wales, South Wales, London and the North West, it all depends on the property we are selling and time of year. We ensure our clients have the maximum opportunity to sell their properties without delay. 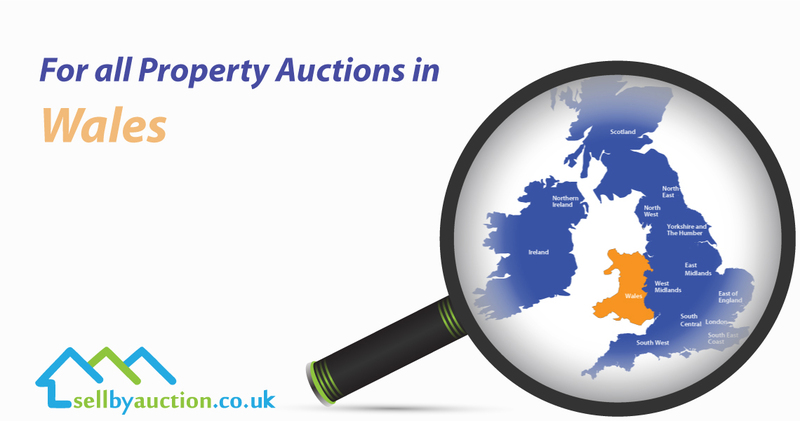 Our Welsh auctions have the most diverse range of property types and prices of any other property we auction in the UK. We sell disused colliery and mine workings in the Rhondda Valley to commercial forestry blocks in Snowdonia. From a derelict fisherman’s cottages on the West Coast to luxury million pound mansions on the Menai Straits in Anglesey. Selling property by auction in Wales is very popular and the first choice for many vendors looking to sell their properties. The main reason for this because of the remote nature of the landscape, long distances involved and small numbers of interested buyers make selling by auction an obvious choice. Add that many residents are from farming communities where cattle, agricultural and farm sales are widespread. Property auction sales are a much more common part of life in Wales. Large volumes of Commercial buildings, agricultural businesses, residential properties and parcels of land are entered and sold through all our auctions held in Wales. 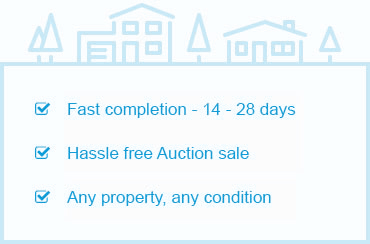 You can find more information regarding some of our Property Auction sales below. Anything where you can improve the value, this is the most commonly sought after stock in an auction. Typically, this will be stock in need of improvement, refurbishment and modernisation. The reasons behind the need for works are the most important factor. In recent years’ flood, damaged houses have been regular additions to our catalogues. Freak weather, rain and extreme flooding events are predicted to continue, and we expect larger numbers of this storm damaged, flooded property in our sales. Prefabricated and non-standard construction Housing built Post War era that is not suitable for mortgage lending, and therefore well suited for sale by auction. Another new common factor pushing property to our sales department is the rapid spread of Japanese knotweed. A non-native species in the UK, as it causes structural damage to the fabric of a building. It does not even need to be on your land anymore to put a buyer, surveyor and mortgage lender off as long as its within region. Evidence of knotweed on neighbouring land is enough to put-off any chance of selling via private treaty estate agents – another ideal candidate for the professional cash buyer at auction. It is not all about the property, sometimes auction sale appeals due to personal issues. Many of our selling clients have personal or social reasons for wanting to sell their house quicker than using the usual methods. For example, this could be problem neighbours, anti-social behaviour, vandalism or family related problems. Selling at auction is fast, private, confidential and discreet, offering sellers an exit while still protecting their privacy.